When it comes to finances, investments and assets, nearly everyone is making a huge mistake right now. They’re stuck in the mindset of seeking returns on investment rather than working to “quit while they’re ahead” and protect the gains they’ve already made. The “winners” over the next few years will be those who avoid suffering huge losses and manage to hold on to what they’ve already earned. Obviously, anyone offering you financial advice that consists of buying shares of mutual funds, options, stocks or similar vehicles is still not getting it. The risks now present in the global financial Ponzi scheme include the risk of systemic transactional failure across banking institutions. “Bank holidays” and “bail ins” mean that banking institutions freeze your accounts, confiscate your money and / or lock you out of your ability to access your accounts. This is crucial to understand when you are attempting to achieve a “store of value” that’s largely insulated from the global debt collapse fiasco that now seems inevitable. Remember: Stock valuations aren’t “real” until you sell them. Only after you exit the market have you realized the actual gains that previously existed only on paper. After a thorough analysis of all available strategies for protecting assets from global collapse, I’m brought back to the fundamentals of asset ownership that the world’s wealthiest families have known for centuries: If you can’t touch it and control it, you don’t really “own” it. Do you think you have “savings” in a bank account? It’s not real until you withdraw it. Whatever you keep in the bank can be seized in a “bail in” confiscatory maneuver that has now been legalized in America. Do you think the valuables in your safe deposit box are under your control? Think again: Governments routinely order safe deposit boxes seized, opened and searched for valuables such as gold — a precious metal that governments always seem to outlaw when they want to stop wealth from fleeing the country. Do you own stock in, for example, a Vietnam mining company? That company can be seized by the government at any time, making your stock shares worthless. In fact, any shares you own in any company aren’t “real” until you sell them. Similarly, if you’re invested in mutual funds, stock options or any other financial vehicle that depends on the banking system to function, you are risking 100% of your investment and betting that the global transaction system remains functional, even during an unprecedented, catastrophic collapse. That’s an unwise bet because the risk of a catastrophic global banking collapse is now higher than ever. The mistake most people are making right now is focusing on the wrong goal. They are trying to make money in a highly unstable global market when they should really be focused on not losing their current assets in the coming global debt market collapse. Stop focusing on returns and start focusing on preserving what you’ve gained over the last decade or so. Storing wealth in safe vehicles means giving up most gains. But that’s the point: You need to lock in your assets in real things that don’t disappear when the global Ponzi scheme unravels. Why do you think Gerald Celente has been buying historical buildings in New York City? He knows that real estate doesn’t disappear in a crash. While prices may fluctuate, the physical buildings don’t simply vanish, and that means owning them is a store of real wealth. Gerald Celente knows that the stock market is wildly over-valued. He knows that bonds are in a bubble and that real estate is in a bubble, too, in many cities. Selling over-valued stocks and using that money to purchase real assets is a protective, defensive move that can preserve the assets you’ve gained before the bottom falls out of all the various bubbles across our destabilized world. 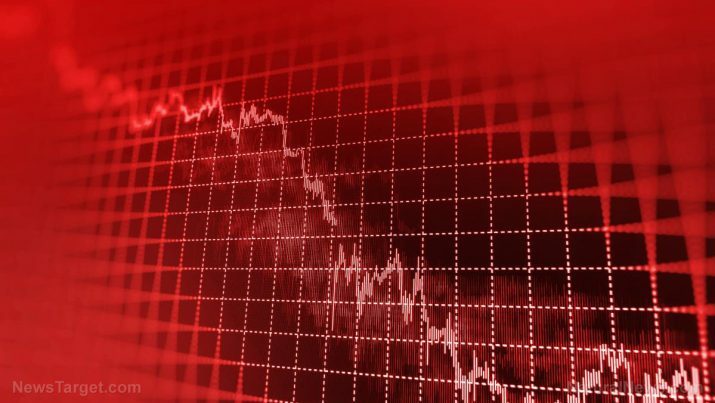 Here’s an article worth reading on all this, from The Economic Collapse Blog: Legendary Investor Jim Rogers Warns That The Worst Stock Market Crash In Your Lifetime Is Coming ‘This Year Or Next’. Valuable industrial metals such as copper, iridium, etc. You should also strongly consider the fact that I personally earn nothing when you go out and buy land, commercial buildings or precious metals. Yet people who are trying to get you to buy stocks, mutual funds or Bitcoin are usually financially involved in those assets, and they depend on finding new buyers to prop up their asset values. Always be wary of the financial advice of those who profit from your agreement to buy their financial vehicles. Conflicts of interest are widespread and often not disclosed. Remember: If you can’t touch it and control it, you don’t really own it because in a catastrophic “reset” of transactional systems, virtual ownership can be taken away from you in an instant and there’s nothing you can do about it. The bottom line? If you’re still looking for the best investments to “make money” in the current economy, you’ve got the wrong mindset. You need to be focusing on how to protect the gains you already earned by exiting the volatile markets and converting virtual assets into REAL assets that you can physically touch. Remember: Your investment portfolio isn’t real until you sell it. Digits on paper (or digits in your online account) aren’t real, and they can all vanish in an instant under the right circumstances. This is also why I’m not a fan of buying into Bitcoin right now: It’s not a real asset until you sell it. Read more coverage of financial risk at our related website RISK.news.